Does everything happen for a reason or does a haphazard thing merely set something in motion making it appear as though it does? I don’t have the answer to that but I will say rutabaga is amazing. Okay perhaps a rather bizarre way to start a blog post but it always fascinates me when one seemingly insignificant event leads me to make a dish that turns out to be a favorite - maybe of all time. If you follow this blog or my Instagram stories, you probably know all about my infatuation with produce; my need to obsessively photograph what I see. A rutabaga, which I would often pass over as not being particularly striking, on that day, caught my attention. The details and subtle colors of this large root demanded to be captured. There was something about it…a depth I hadn’t before noticed. That evening while looking for ways to use leftover chicken, I came across a recipe for chicken tetrazzini - the classic style, which includes milk, flour, butter, breadcrumbs…in essence all the things I cannot have. 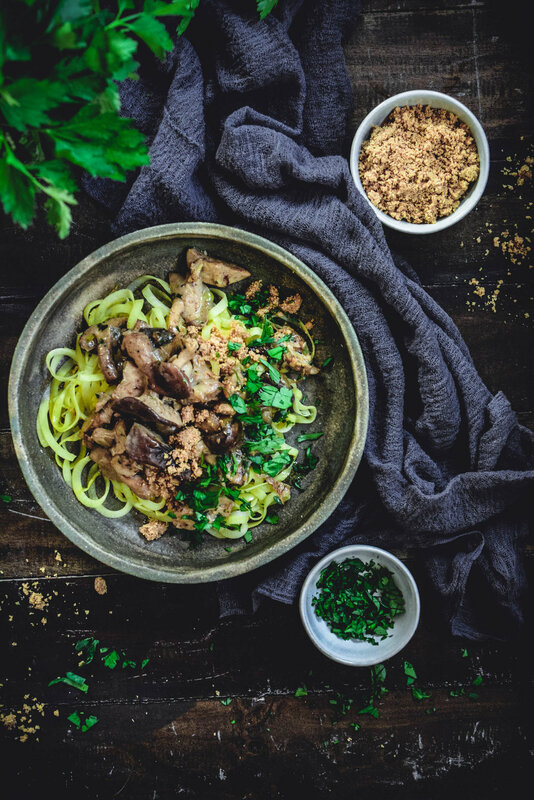 It was something I didn’t give a second thought to and moved on until I woke up the next morning convinced that I had to make chicken tetrazzini the paleo and whole30 way and not only that but that I would be using rutabaga noodles instead of pasta. I admit, I’d never made rutabaga noodles prior to this dish but thought, why the hell not? And so an idea was born and I couldn’t stop thinking about it. 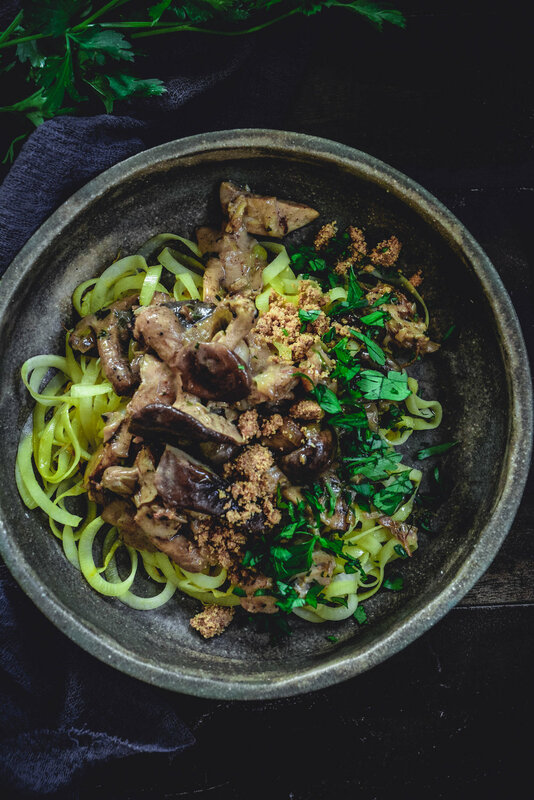 At 8am I was at the market buying rutabaga, shiitake mushrooms and chicken with vehement determination to make my version of paleo chicken tetrazzini come to fruition. It is so very rare that something I envisioned so clearly actually turns out to match the idea. 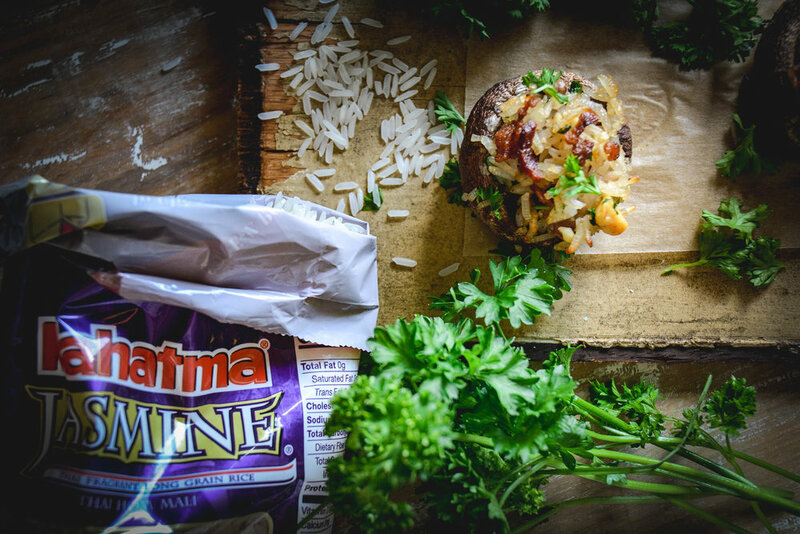 The earthy flavor of the rutabaga works incredibly well with tender chicken thighs and creamy mushroom sauce finishing the whole dish with almond crumble, which gives it depth. Since milk is out of the equation, I opted for coconut milk. I wasn’t sure how this would work out as I didn’t want an overly coconutty flavor but the salt and lemon cut through the forward coconut taste, leaving only the creaminess behind. 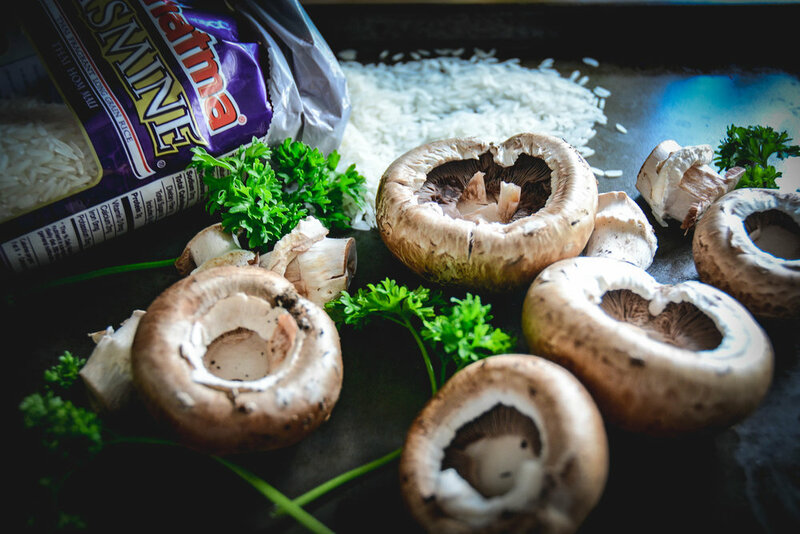 I knew I was going to love this dish the second I smelled the shallots, garlic, wine and mushrooms and I hope you will love this creamy chicken tetrazzini just as much. Spiralize rutabaga and set it asides. In food processor or blender add toasted almonds and grind finely. Add to small bowl with olive oil and salt and set aside. Remove chicken from package and pat dry with paper towels and season with 1/2 tsp salt and 1/4 tsp pepper. Heat cast iron skillet over medium heat. Add olive oil and chicken and cook for 7-8 minutes per side until cooked through. Cover with foil and set aside to rest. In the same pan, add 1 tbsp olive oil, shallots and a pinch of salt. Cook for 2-3 minutes until shallots are translucent. Add garlic and cook for 30 seconds. 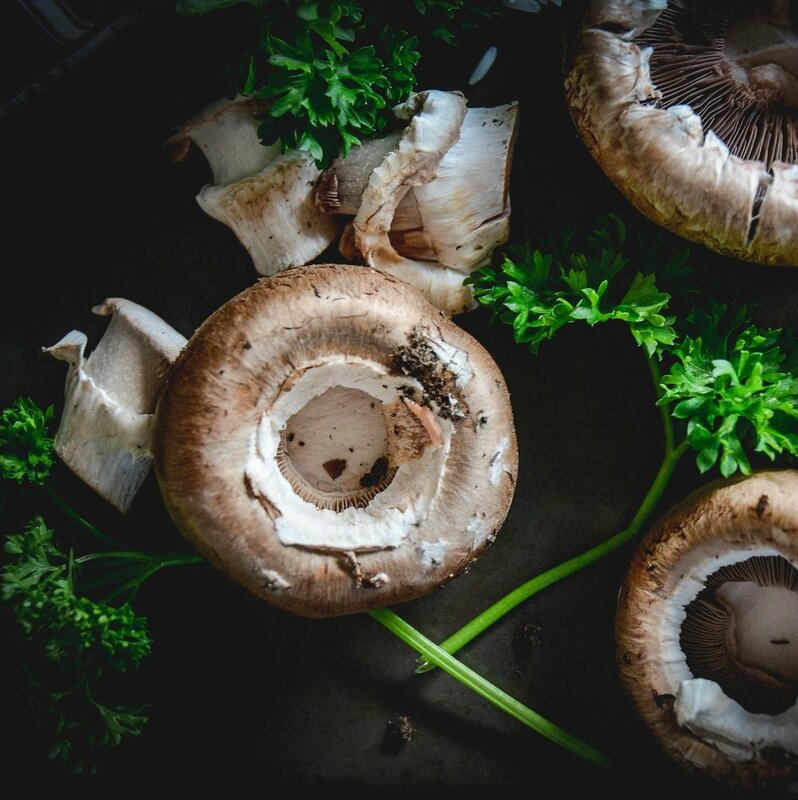 Increase heat to high, add wine or broth (if Whole 30) and deglaze pan by scraping off the brown bits. .
Reduce heat back to medium, add mushrooms, 1/4 tsp salt, 1/4 tsp freshly ground pepper thyme and parsley and cook for 10 minutes until mushrooms are soft but still have a bite. Add coconut milk and lemon juice, turn heat down and simmer for 10 minutes. Cut chicken into bite size pieces and add it back to sauce and heat through for 5 minutes. Meanwhile, heat medium frying pan, add oil and rutabaga noodles and cook stirring continuously for 3-5 minutes until noodles have softened. 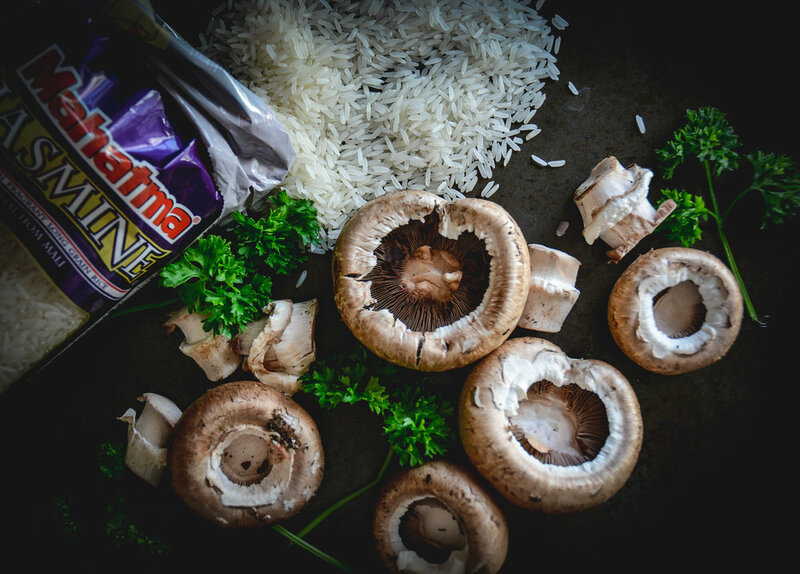 To plate, add rutabaga noodles, chicken and mushrooms sauce, sprinkle with almond crumble and top with additional fresh chopped Italian parsley. It's fall. In our house we take this time of year very seriously. By that I mean, we want to do as many fall activities as possible. One of them involves apple picking. It's been a long standing tradition my husband and I started years ago. It generally involves eating 3 or 4 while picking (You know you do it too) to the point of nausea. There isn't a time in my daily life where I would consider eating that many apples but things are different when you're in the orchard. Anyway, apple picking this year was slightly different. I didn't consider what it would be like with a 16 month old and a 4 year old. We certainly couldn't linger about and take our time, blissfully picking apples. My son was good about it, but was mostly laying in the orchard complaining that he's tired or running through a nearby pumpkin patch, while my daughter was busy attempting to eat everything form apples to rocks and whatever else she could find in her path. Meanwhile, my husband and I were speed picking 10 lbs of apples.